As of the census of 2010, there are 5,782 people residing in Tampa Heights. The racial makeup of Tampa Heights is 59.4% Black or African American, 32.4% White, 21.3% of the population is Hispanic or Latino of any race, 3.7% from two or more races, 3.4% from other races, 0.6% Asian and Pacific Islander and 0.3% Native American. 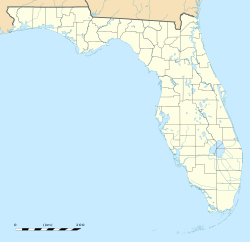 In Tampa Heights, the population is spread out with 8% Under 5 Years; 8% 5 to 9 Years; 14.7% 10 to 19 Years; 29.7% 20 to 39 Years; 24.7% 40 to 59 Years; 11.6% 60 to 79 Years; 3.3% 80 Years and Over. In recent years, Tampa Heights has seen new people flow into the area aiming to restore it. Many new businesses have opened in the area such as art galleries and coffee shops. A new development called "The Heights of Tampa" has begun with some initial phases of construction. The project is mixed use for residential and commercial. It would be the northern end of the Tampa Riverwalk. Downtown Tampa, due south of the neighborhood. Hillsborough River, borders the area to the west. Seminole Heights, similar historic neighborhood also undergoing gentrification. ^ "Overview of Tampa Heights Neighborhood". tampaheights.org. Archived from the original on 2008-06-11. ^ "Citytimes: The price for the Heights". sptimes.com. ^ "Tampa Heights Civic Association : Demographics : Hillsborough Community Atlas". usf.edu. ^ "Tampa Heights businesses operate on the funky fringe". Tampa Bay Times. ^ "Say He-ey: Cafe Hey serves up damn fine food in Tampa Heights". Creative Loafing Tampa. ^ "Lofty plans in the works for The Heights development". TBO.com. Retrieved 2016-06-09. This page was last edited on 7 September 2018, at 21:11 (UTC).